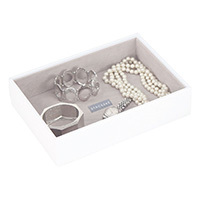 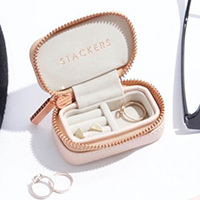 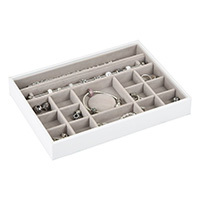 This stylish jewellery storage box is new to STORE and offers a great solution to protect and store your treasured charm bracelet jewellery collection. 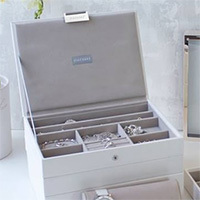 Finished in white faux leather with a grey lining, the tray features storage space for bracelets, charms, rings, earrings, broaches etc. 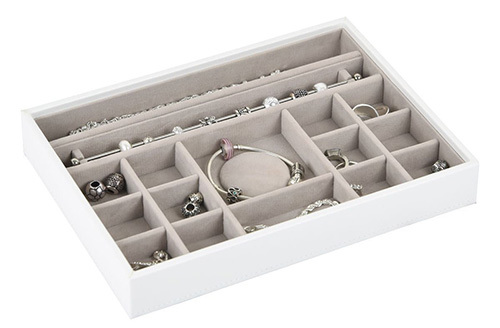 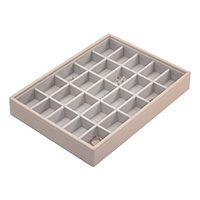 Our classic open jewellery storage tray can be used alone or stacked with our other interlocking matching Stackers jewellery storage boxes to provide a bespoke modular solution for your jewellery collection. 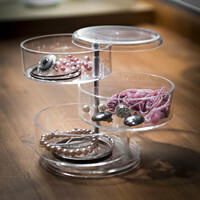 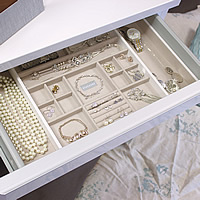 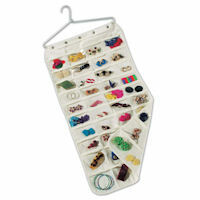 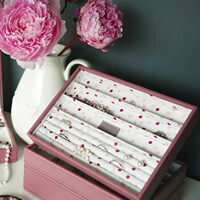 Makes for a great gift idea and why not add a new piece of jewellery to the empty tray for an extra special pressie idea!